2016 Certified Pre Owned MINI Cooper 2 Door Hardtop! Certified Pre Owned Coverage is valid until 4/21/2021 with NO Mileage limitation! White Silver Exterior with White Roof and Mirror Caps! Black Leatherette Interior. Clean One Owner Carfax History. Well Equipped with Automatic Transmission, Dual Panoramic Sunroof, and Heated Front Seats! Purchase with Confidence from the #1 MINI Dealer in the USA for both Sales and Service Satisfaction. 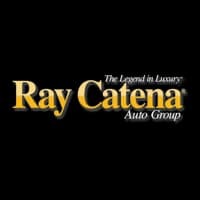 Only at Ray Catena MINI of Monmouth. Featuring a push button start, braking assist, dual climate control, hill start assist, stability control, traction control, anti-lock brakes, dual airbags, side air bag system, and digital display, be sure to take a look at this 2016 MINI Hardtop 2 Door 2DR HB before it's gone. We've got it for $18,588. With only one previous owner, this 3 dr hatchback can pass for new! It also includes 24-hour Roadside Assistance, Free CARFAX vehicle history report. Want a 3 dr hatchback you can rely on? This one has a crash test rating of 4 out of 5 stars! Rocking a stunning dk. brown exterior and a black pearl interior, this car is a sight to see from the inside out. This is the vehicle you have been waiting for! Call now to schedule a test drive! Contact Information: MINI of Westchester, 543 Tarrytown Rd, White Plains, NY, 10607, Phone: (914) 286-5810, E-mail: clintonm@miniofwestchester.com. 2015 Certified Pre Owned MINI Cooper S ALL4 Countryman! Certification valid until 6/1/2020. ALL4 Love and Love 4ALL! Light Coffee Exterior with White Mirror Caps and Sport Stripes! Black Leatherette Interior. Well equipped with auotmatic transmission, dual pane sunroof, heated seats and Bluetooth technology. Purchase with confidence from the #1 MINI dealer in the USA for both sales and service customer satisfaction. Only at Ray Catena MINI of Monmouth. Don't miss out on this 2015 MINI Hardtop 2 Door 2DR CPE! It comes with a braking assist, hill start assist, stability control, traction control, anti-lock brakes, dual airbags, side air bag system, digital display, and airbag deactivation for an even better ride. This one's a deal at $18,989. It also includes 24-hour Roadside Assistance, Free CARFAX vehicle history report. Stay safe with this 3 dr hatchback's 4 out of 5 star crash test rating. Rocking a beautiful orange exterior and a black interior, this car is a great pick. View this beauty and our entire inventory today! Call for more details. Contact Information: MINI of Westchester, 543 Tarrytown Rd, White Plains, NY, 10607, Phone: (914) 286-5810, E-mail: clintonm@miniofwestchester.com. * 2016 ** Audi * * A3 * * 1.8T Premium * When you're ready to upgrade your ride, opt for this 2016 Audi A3 1.8T Premium, which includes features such as backup sensor, parking assistance, braking assist, dual climate control, stability control, traction control, premium speakers, anti-lock brakes, dual airbags, and side air bag system. It has a suave brilliant black/black roof exterior and a black interior. It also includes Roadside Assistance. With an unbeatable 5-star crash test rating, this sedan puts safety first. Don't sit on this decision for long...schedule your test drive today! L/CERTIFIED PRE-OWNED, CARFAX 1 OWNER!!! NAVIGATION AND LUXURY PACKAGE!!! B-E-A-U-T-I-F-U-L-L starfire pearl ES350! Loaded with blind spot monitor, intuitive park assist, hid headlamps, rain sensing wipers, heated wood/leather steering wheel and much too much to list here!!! We did the hard work, all you have to do is come down and drive it home!! !No surprises, no sacrifices. 100% Lexus.